2 x 60 or 3 x 40 minute sets. The band provide an extra bass bin and lights to allow the PA to be used as a disco via the client's playlist until 12.00am. Just a quick note to say thank you so much. The band and Paul were just brilliant. I couldn’t have asked for anything better. The event was wonderful and everyone had a fantastic time. Thank you for all your help and I will certainly be using you again. Music to rouse the room, or delicate slow airs so suit the mood. Govannen can kick up a storm or provide just the right mellow ambience for quieter events. Govannen always plays with passion, artistry and an easy going good humour, each in good measure for a night to remember. Govannen can also provide Ceilidh and Barn Dances with the help of percussionist/cajon player, Neil Rabjohn, who is an experienced dance caller capable of striking just the right tone at weddings, functions and parties. The focus on Govannen's ceilidh is fun and informality. Dance experience is not necessary and on the night the caller will clearly guide you through all of the steps. As a break from the Ceilidh dancing or as a great way to round the evening off, Govannen can play a range of Celtic and popular songs for everyone to have a bop. Full PA and stage lighting is included in the package and the PA system can of course be used to play music when the band are taking a break. Dan Britton provides the drive and energy and earthiness of the band with his driving rhythmic guitar and bodhran and at live concerts he is the main lead singer of songs. 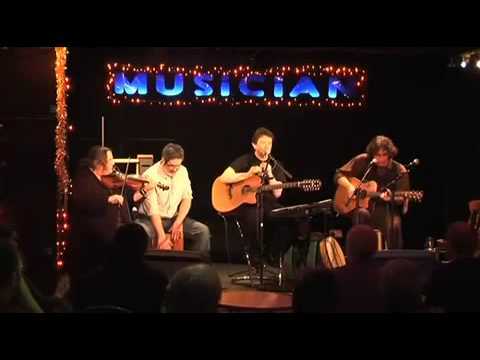 Dan was influenced by the powerful performers of Irish music like Planxty and The Pogues. Chris Conway'ss interests are in sounds, harmonies and arrangements, adding touches of magic with his battery of exotic instruments and keyboard wizardry. Chris’s Celtic influences were the great arrangers of multi-layered sound like Alan Stivell, Gwerz, and Donal Lunny. Chris also brings jazz elements into a Govannen set. In Adele McMahon, Govannen have a soloist of world class. She’s also a library of Irish tunes for the band. Her dazzling fluid violin is the real backbone of the band sound. 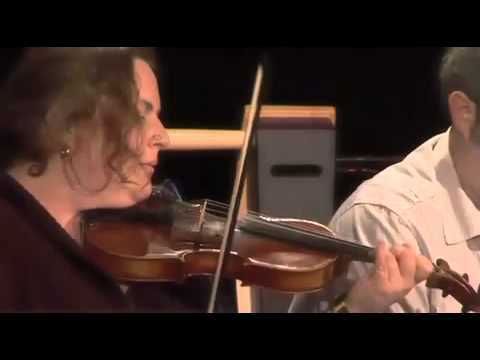 Adele as you might expect was influenced by her family (her father is a singer of traditional Irish songs from County Clare), and the great fiddle players like Martin Hayes and Kevin Burke. Add to this the amazing percussion of Neil Rabjohn who plays the cajon drum, and the music really get cooking. Neil joins the group mostly at the bigger concerts and events that need some kick. Just to say thank you so much for your superb performance at our wedding reception on Saturday. You were absolutely amazing and really got the celebrations going. We cannot thank you enough and couldn't recommend you enough in the future. I wanted to get in touch and say thank you again for the fantastic music and service you provided during our wedding. We were really pleased at how much everyone enjoyed the music, and the dancing - we have had lots of positive feedback. Neil deserves a medal I think for managing to whip everyone into (some sort!) of shape. We had a lovely day, but you definitely made our evening. We just wanted to say a big thank you to you and the rest of Govannen for helping to make our wedding day so special. Everybody loved the band and the music/dancing was everything we wanted and more. Just wanted to say a really huge thank you to Govannen for the live music at our party. It was a fantastic night - everyone throroughly enjoyed themsleves and the band contributed immensley to the atmosphere and fun we all had. They were brilliant in every way. Discreet setting up, flexible in their timing and responsive to the moods and tastes of our guests. I received so many positive comments about the night and most mentioned how impressed they were with the quality of the musicians. There was a splattering of Irish among the guests too, who enjoyed every minute! The band played some great choices of music and certainly got everyone up on the dance floor, which is what I had hoped for. Thank you so much, I had such a great time. Everyone loved you and the mix of music was perfect. Thankyou all so much for a really memorable evening. Wow!! What a party on Saturday! I loved every minute! The band were brilliant - so many praising comments from my guests! Thank you SO much for treating me so specially and for your enthusiasm, creating a fab and fun atmosphere! Can't wait to do it again! Love and thanks to you. Just wanted to let you know Saturday's party was fabulous. Govannen were absolutely brilliant, from the moment they arrived we knew we had made the right choice. Dan, Chris, Neil and Adele were all great, friendly and approachable, they really helped to get the party started and eased us into the dancing and really helped everyone lose their inhibitions about getting up to dance around. All our guests loved the music and we think everyone was in agreement they would love to do it again, maybe next year for our first anniversary! The musicianship really shone through during the night. We are already planning to try and catch one of the band's gigs as we would love to just sit and listen to them perform a set. Thanks to DG Music and off course the exceptional Govannen for rounding off our wedding celebrations in such a fantastic way. We would have no hesitation in recommending DG Music in the future and we are sure all our guests on Saturday would do likewise. A faultless performance all round! Just a quick note to say a huge thank you from Ivan and I for playing at our wedding. The music and dancing from the band were a particularly special part of our day and so many guests have said how brilliant the band was and how much they enjoyed the ceilidh. Some of my family who I haven't seen dancing for years were joining in! Just to say a big thank you for your valued contribution to a very successful farewell party at Lutterworth Golf Club. You provided a great mixture of music and dance that made the evening so special and we had lots of positive comments on your performance from all our guests. This was a truly memorable evening for everyone and that was mainly down to you. Thank you so much for playing at our wedding. We had the most amazing day and everyone loved the music . You got everyone up dancing - even those who didn't know what they were doing. It was fantastic. Hope you enjoyed it too. And thanks for staying after Dan and Neil. Hope you all got home safely. All the best for the future and hope to see you again soon. Our wedding on 27th went very well, and we would like to thank you and Govannen for the entertainment. Would you please pass on our thanks to the band whose efforts made the evening. Please pass on my thanks for a great night with Govannen on the 14th Sept. It made by 30th Wedding Anniversary go down a storm! Never danced so much in one night-Cheers Guys! Just a note to say how WONDERFUL the band was--a great mix of music and ceilidh dancing (although it all went by so fast). The instrumental was fantastic, as was the singing, and all our guests seem to truly enjoy the dancing--not your usual DJ fare! Thanks to all the musicians of Govannen for making our daughter's wedding truly magical. A belated but heartfelt thanks to Govannen for the superb job they did on our wedding at Catthorpe Manor (1st December 2012). The band were hugely friendly and put everyone at ease, and their playing was a perfectly judged mix and pieces that got almost everyone involved. They were very approachable throughout and more than willing to assist us with a couple of on-the-fly requests on the night. All in all, we were delighted with their performance and have made certain to recommend them (and yourselves) to friends who have asked about entertainers for their own functions. We had a fabulous day, thanks for helping it go so smoothly. Lots of people have said that they particularly enjoyed the band, and at least two different couples have already asked for contact details! I just wanted to make contact to say a big THANK YOU for such a lovely evening last night. Without exception everyone was bowled over with your beautiful music – and I really do appreciate the effort you made in such bad weather and hope your journey home was not too traumatic. It was disappointing that so many people were unable to make at and from messages I received when I got home, quite a few had started their journey but sensibly turned back having had one or two scary skids. Hope it was not too disappointing playing to such a small audience, but I think you could tell we all really enjoyed ourselves - and perhaps me most of all! Once again many thanks for a lovely evening and I am sure I will hear you play again before too long. Dear David, please would you pass on to Dan and Govannen our thanks for a superb evening last Saturday in The Staging Post. The music was great and the dances were enjoyed, even though at times, we were naughty and didn’t always do as we were told. Maybe it has something to do with us being Independent Opticians !! Everybody said how good the music and caller was and I think the Cabin added some extra atmosphere. There were a lot of aching legs next day. Thank you very much to you all for providing us with an excellent evening of music and dancing in the Trent Building on Wednesday evening 6 April. Everyone thoroughly enjoyed themselves and a mark of how much they enjoyed your entertainment was shown by the fact that the majority of our people were still there at the close of the evening. You have a great troupe and we had a great evening, thank you. I just wanted to drop you a quick line to say how pleased we were with the band and caller on Saturday night. We had a good level of participation and there were lots of smiling faces throughout the evening. Just wanted to say thanks for “Govannen” playing for us on Saturday. They were excellent – went down very well - and what very nice people too ! The band were very popular and everyone really enjoyed themselves. Thank you soooooo much for Saturday! It really topped the whole day when you guys came on you were brilliant! And thank you for letting some of our guests join in.... even if some of them weren't too hot on their vocals!!!! ...Thanks again, you really are amazingly talented. Everyone had a great time and you really are brilliant in your manner and your music, so thank you once again! My daughter booked ‘Govannen’ on our behalf through your agency for our party at Greetham Valley Golf Course. We had an absolutely wonderful evening due in no small part to Govannen who certainly made the party go with a swing. Just a note to say a big thank you to Govannen who played at my Mum & Dad's Birthday at Greetham on Saturday night. They had a great night and every one was impressed with the band. Just wanted to say a really huge thank you to you and Govannen for the live music at our party and apologies for being so delayed in passing on our appreciation. It was a fantastic night at the Nevill Arms in Medbourne (1st Sept), everyone thoroughly enjoyed themselves and the band contributed immensely to the atmosphere and fun we all had. Please thank the band for us, they were brilliant in every way. Discreet setting up, flexible in their timing and responsive to the moods and tastes of our guests. I received so many positive comments about the night and most mentioned how impressed they were with the quality of the musicians. There was a splattering of Irish among the guests too, who enjoyed every minute! The band played some great choices of music and certainly got everyone up on the dance floor, which is what I had hoped for (despite our total inability to do proper Irish dancing, we gave it our best shot!!). So thanks again for providing such a great service and great band. I would recommend you and them anytime. Standard Set Times: 2 x 60 or 3 x 40 minute sets.